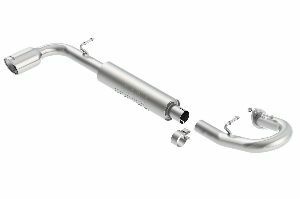 We stock Exhaust parts for most Scion models, including FRS, tC. Tail Pipe Diameter: 2.250 In. 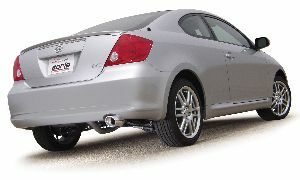 Tail Pipe Diameter: 2.500 In. 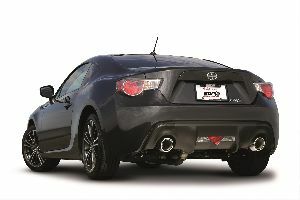 The Scion FR-S(Toyota 86) and Subaru BRZ are amazing new performance cars jointly developed by both automakers, and deserve to sound the part. This all stainless steel American Thunder system delivers the sound you want with the performance you demand from Flowmaster. Featuring mandrel-bent piping throughout, this 50-state emissions legal system is a true bolt-on, and delivers a deep performance tone most enthusiasts will enjoy. 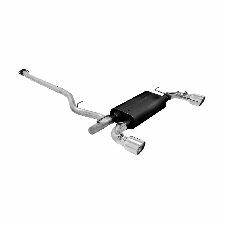 The American made exhaust also includes Flowmaster's Lifetime Limited Warranty for a lifetime of quality assurance.